As you’d expect, advanced, premium features like these come with premium price tags. To make worth adding these luxury systems, truck manufacturers are charging high prices compared to base model pickup truck pricing: $35,000 on average. Ford’s loaded new F-Series costs $100,000! There's good news for lenders: with prices like that, consumers won’t be paying cash. However, the bad news is that borrowers may struggle to repay such monstrous loans, leaving lenders to absorb the costs of repossession and depreciation. With U.S. household debt almost back to pre-recession levels, consumers certainly do not seem worried about taking on debt. However, auto lenders must worry about being repaid. According to The Washington Post, more than 6 million U.S. auto borrowers are currently at least three months late on auto loan payments. The Federal Reserve Bank of New York warns that the past couple years have brought a “notable increase” in auto loan delinquency, particularly from subprime borrowers. 1. Reconsider long loan terms. In an effort to make monthly payments manageable, lenders have been lengthening loan terms and running the risk of loaning more than borrowers can afford to repay. Expensive pickup trucks today are often financed over seven years! Given that longer loan terms are associated with higher rates of delinquency, make sure to weigh the increased chance of delinquency when extending longer loan offers. As vehicle technology has advanced, so has auto repossession industry technology. Take license plate recognition, for example. By working with a vendor that uses camera car technology to scan license plates on parked cars, your financial institution receives access to up-to-the-minute location data for vehicles and alerts when a vehicle sought for repossession is located and available, drastically cutting the time and expense involved in recovering assets. 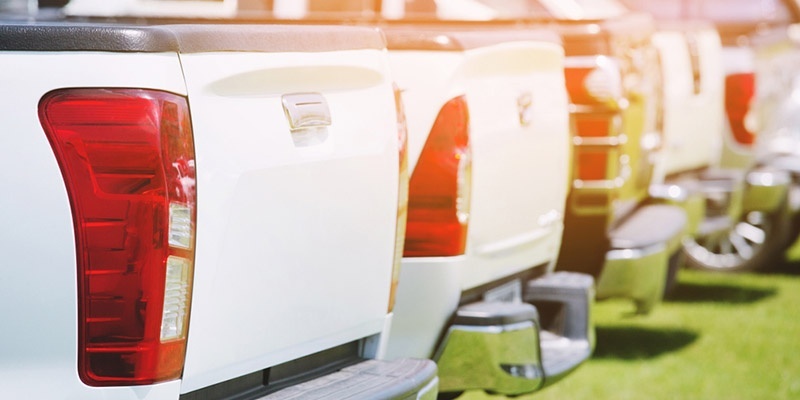 With auto manufacturers seeing much greater profits from trucks and SUVs than from traditional cars, we're sure to see them continue to invest in technology and advanced features that drive sales of this profitable vehicle class. It’s up to the lending industry to protect its portfolio from delinquency. Learn more about managing lending risk, protecting your collateral, and addressing delinquency in SWBC’s new ebook, Recipe for Risk Management.